The LogiQuest® Logistics Research Service is a powerful, easy to use logistics search and retrieval product from Terabase Corporation. 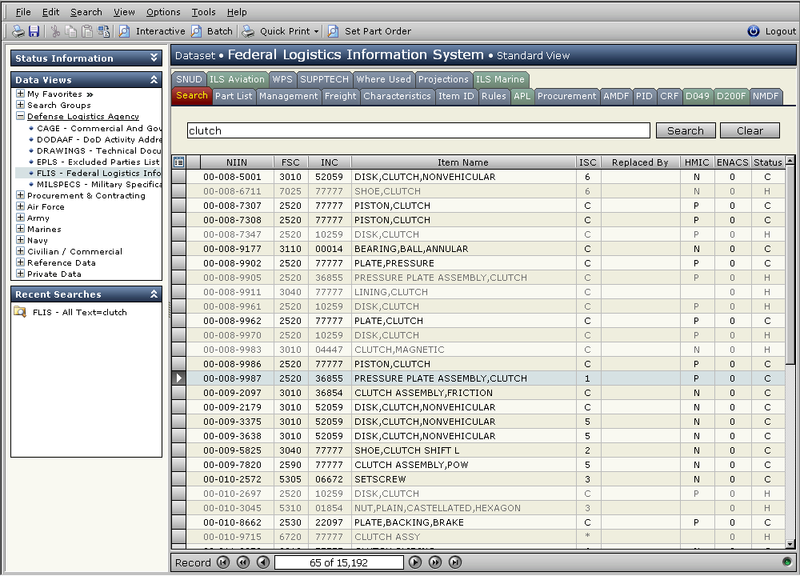 LogiQuest provides fast, flexible access to information on over 11 million parts in the U.S. Federal Supply Catalog, with links to hundreds of millions of records in related databases. 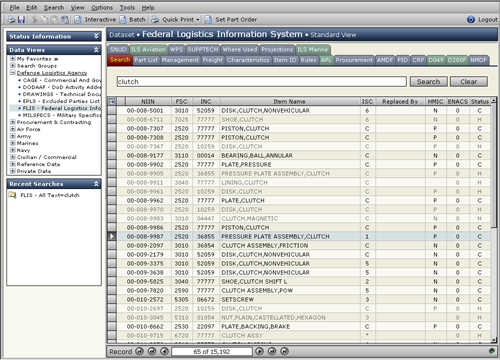 LogiQuest simplifies searching by allowing users to combine text and fielded search criteria in a “Quick Search” interface. Users can search in real-time or offline, and integrate database searches with information from the Web. Attractive, comprehensive built-in reports can be personalized to ensure that the information fits the user’s needs. Logistics and procurement specialists use LogiQuest to access more than 120 databases from multiple branches of the Armed Forces, as well as other providers of parts information. The simple search interface provides a quick and easy way to search for supplies and parts in an on-demand world. In the screen shown above, we see the results of a search for all parts that contain clutch in the item description. The customer could then drill down using additional search terms, refining the results needed to make an acquisition. © Copyright 2014 Terabase Corporation, Inc. All rights reserved. ® LogiQuest is a registered trademark of Terabase Corporation. ® Terabase is a registered trademark of Terabase Corporation.